When I arrived in Oaxaca, a UNESCO World Heritage Site in southwest Mexico, I was expecting sunshine and colonial churches, not a lively literary landscape, but in the coming days, that is what I discovered. The first week, there was an international book fair that featured booksellers’ and publishers’ stalls under a tent at the Zócalo, the central square crossed by tourists, vendors, and anyone else drawn by the restaurants and bands and political speeches. While dozens of would-be buyers combed the stalls for good deals, under another tent nearby, a succession of writers, critics, and cartoonists held forth to listeners. The next week, a series of workshops, manuscript readings, and discussions drew Latin American writers, editors, and others involved in the book business to Oaxaca. Writing workshops were held in the public library and writers read from their manuscripts in its courtyard. Then came several days of sessions on developing readers’ communities. 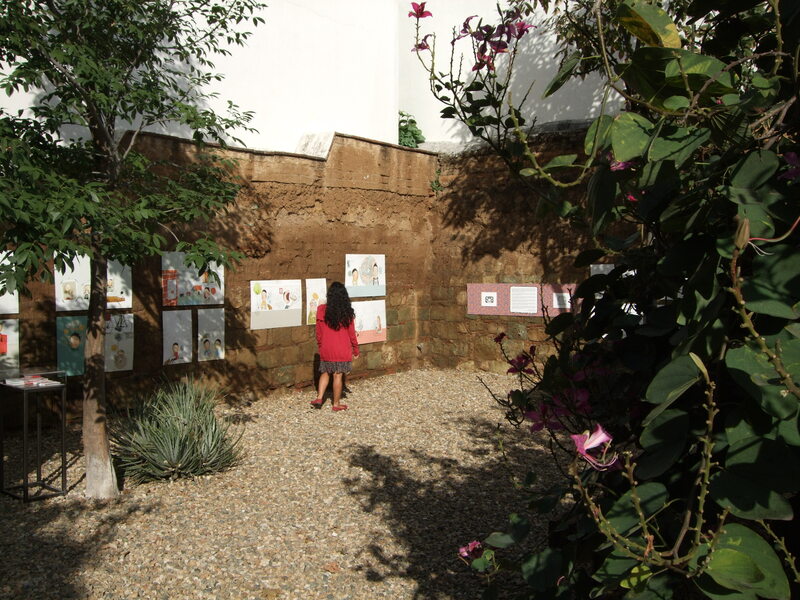 These were mostly held in a couple of the many other libraries scattered through the city – perhaps the most distinctive element of Oaxaca’s literary scene. Octavio Lara, a photographer, tipped me off to the first little library I visited, across from the grand Iglesia de Santo Domingo with its twin domed spires. There, in a modest one-story building housing the Instituto de Artes Gráficas (IAGO), I found a series of quiet rooms, some displaying art exhibits, others lined with books from the collection of Francisco Toledo, an artist and book publisher who created the institute. This is perhaps Mexico’s most distinguished collection of books and other materials on the graphic arts – and just a few blocks away there’s a second IAGO collection of books on literature and history. Both libraries’ international holdings are freely open to anyone who comes by. IAGO has been a model for other multi-dimensional cultural centers that provide space not only for books but for workshops, lectures, and performances. There is, for instance, Biblioteca Henestrosa, which contains the works and book collection of Andrés Henestrosa, a writer who made varied contributions to the study of the Zapotec language and oral tradition. A man who did not speak Spanish until he was 15, he treasured oral tradition but transformed it into written literature. Sharing a building with Casa de la Ciudad (which is dedicated to preservation and sustainable development of Oaxaca), the Biblioteca Henestrosa offers free workshops for writers, and the night I dropped by at one of those to meet Fernando Lobo, a writer whose work I like, musicians were setting up in the building’s courtyard for a concert. Music, art, literature, and history intermingle in Oaxaca like old and familiar friends. A stroll through the Museo de Filatelia took me in and out of multiple worlds: in one room, an exhibit of stamps related to Mexican exports; in another, collages drawn from postal communications; then in the garden, illustrations for two postal-themed children’s books spread out on walls open to the sky. In the museum’s library, I found David Karminksi Katz, the young staff member in charge of research for the exhibitions. He told me that an important part of the museum’s mission is the production of books based on the exhibits. The books are beautifully designed, their production values high, and, of course, they’re sold in the museum bookstore to bring in income. The stamp library and the rest of the 37 libraries that show up on a glossy Oaxaca map devoted to them are just one face of a cultural boom that the city has experienced in the last 10 or 15 years. 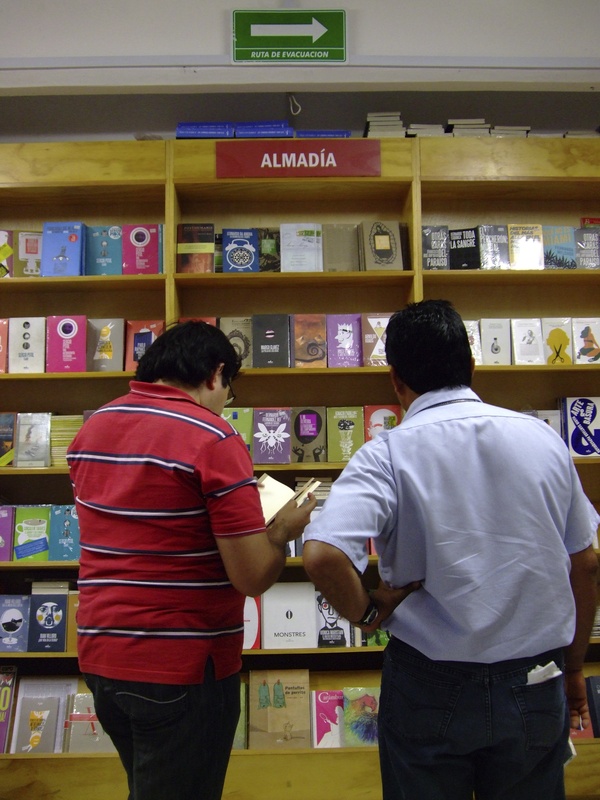 There are also small independent publishers like Sur+ Ediciones and bigger ones like Almadía, whose books cover almost an entire wall of its originator, the bookstore­­­ Proveedora Escolar. 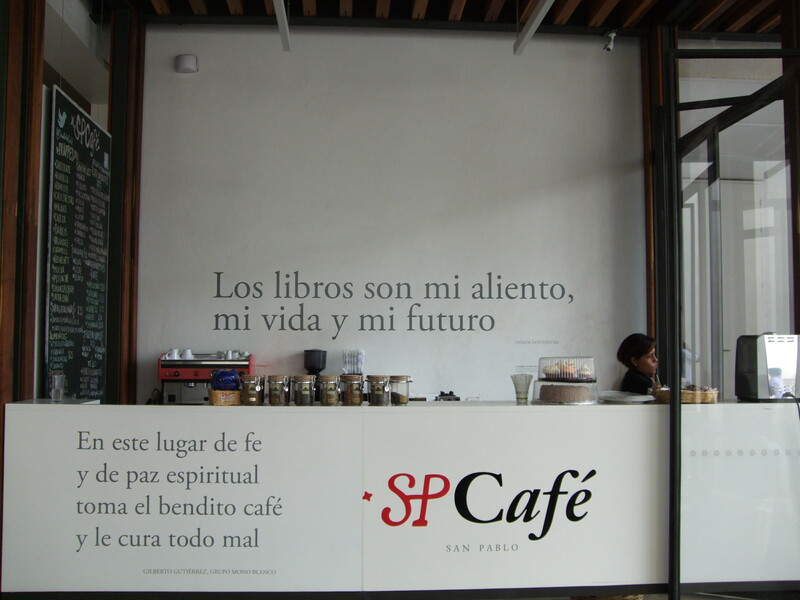 There are smaller bookstores like La Jicara, which concentrates on selling books by independent publishers in Mexico and elsewhere and, in an adjoining room, offers food and drinks. There are journals like Avispero (Hornets’ Nest), which publishes creative work and receives financial support from the federal government, and El Jolgorio (Revelry), a monthly culture calendar with thoughtful articles. El Jolgorio, like much of the cultural activity in Oaxaca, carries on with the support of Fundación Alfredo Harp Helú, named for the man who funds it, a former banker and very rich (974th on Forbes’ billionaires’ list). 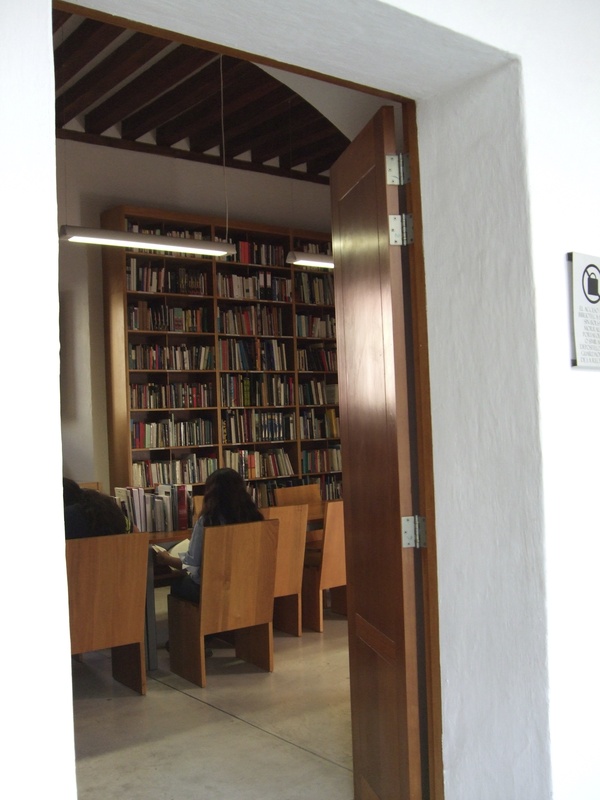 The foundation has played a leading role in preserving and renovating Oaxaca’s historic center – most dramatically in the case of the Ex-Convent of San Pablo, which, along with foundation offices, houses an academic center and library. The original sixteenth-century edifice had undergone earthquakes and conversion to other uses and was really a wreck of its former self until finally, in the early twenty-first century, the Harp Helú Foundation invested in its restoration—a dramatic merging of old and new. Along one side of the courtyard, the architect raised a sheet of glass behind which you can see users of a library dedicated to the history of Oaxaca and Mesoamerica – and through the glass, the ghostly old convent wall. Impressive as the San Pablo edifice is, I suspect I’m not the only one to be just as beguiled by the new public library for children – a series of rooms winding like a snake through a hillside site where the architect was instructed not to cut down any trees. 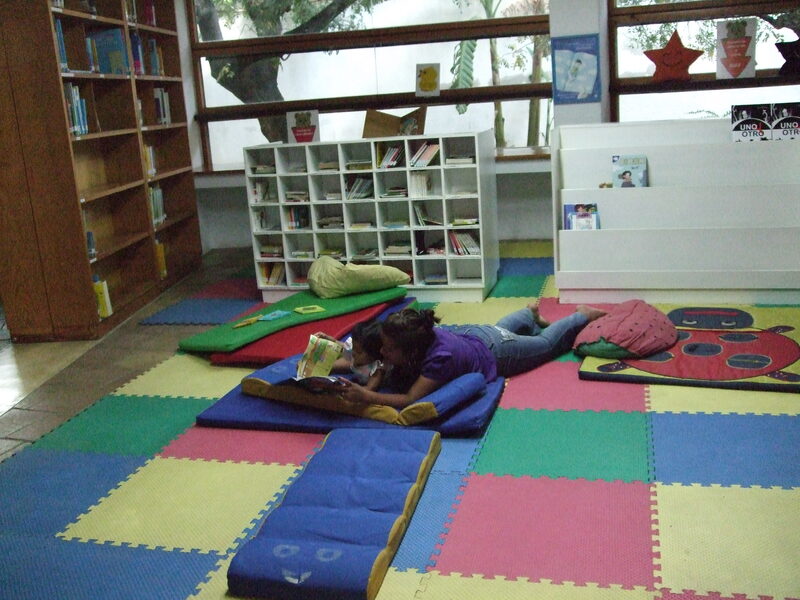 When I arrived there at dusk one evening to hear a librarian from Colombia, just a few adults and children were dispersed through the library’s rooms. When I left in the dark about an hour later, the lighted rooms I passed were nearly full. Oaxaca’s riches for readers are astonishing in the capital of a state that is one of the poorest, and most indigenous, in all Mexico. Just steps from the little libraries of the historic downtown, street vendors go from tourist to tourist with their stacks of hand-woven cloth and embroidered blouses, while indigenous families with nothing to sell sit against walls holding out plastic cups for alms. Coming into the street one day from a session on encouraging reading, I remembered the line erroneously attributed to Marie Antoinette: “Let them eat cake.” Given the poverty all around in Oaxaca, I wondered: Was I hearing a variation in these sessions – “Let them read books”? As in Paris at the time of the French Revolution, discontent rumbles through the streets of Oaxaca. 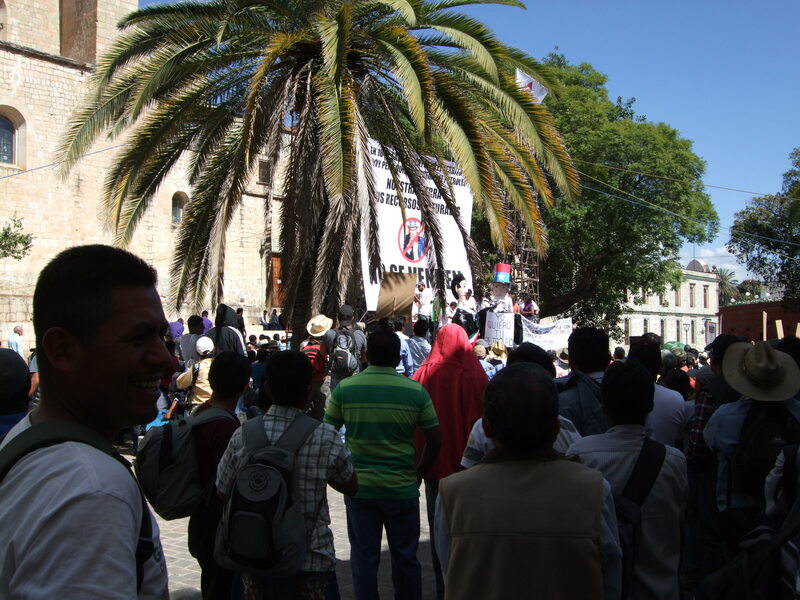 In 2006, rising up against what they saw as the Oaxaca state governor’s indifference to people’s needs, thousands occupied the city center where the libraries are concentrated. The protest began in May with a strike by teachers. Others joined their marches, streets were barricaded, the tourist trade turned upside down, and death squads attacked demonstrators. The federal riot police came in. Six months and at least a dozen deaths after it started, the uprising was over. But unrest still simmers, and police keep a watchful eye on the city. While I was there, the city hosted a conference of representatives from other UNESCO world heritage sites, and overnight the number of policemen in the tourist area ­– already plentiful by American standards – multiplied. Open trucks bearing police with military-style automatic weapons patrolled the streets. Then, too, there is the wave of drug-related violence sweeping across Mexico. In a session on reading communities held in Proveedora Escolar, the director of the bookstore’s radio program on books – Oscar Javier Martínez – linked the crisis of violence in Mexico with the fact that too few Mexicans read. After the session, he told me he got the idea from Mexican poet José Emilio Pocheco but Javier himself elaborated. In a country where many children are growing up in families that have been destroyed or are themselves violent, he said, the only way those children will learn empathy is by reading – seeing in the characters of novels the humanity of others. The question: how to form communities of readers? In such a context, I suppose it would be possible to dismiss the little libraries of Oaxaca as entertainments for the privileged, but I can’t help but think that their spaces incubate thoughts that spill into the streets – just as after the 2006 uprising, demonstrators’ graffiti spilled into an IAGO exhibit dedicated to their art. In one of the Jolgorio articles celebrating IAGO’s 25th anniversary, Pedro Valtierra, the director of Cuartoscuro, a national photo magazine, speculated that cultural centers like those in Oaxaca could be the true solution for social problems in many parts of Mexico. As a historian, I know there are no single solutions to anything, but perhaps it is not too much to hope that through these open doors will blow winds of change. – Carol Polsgrove, January 2014. Photos by Carol Polsgrove. 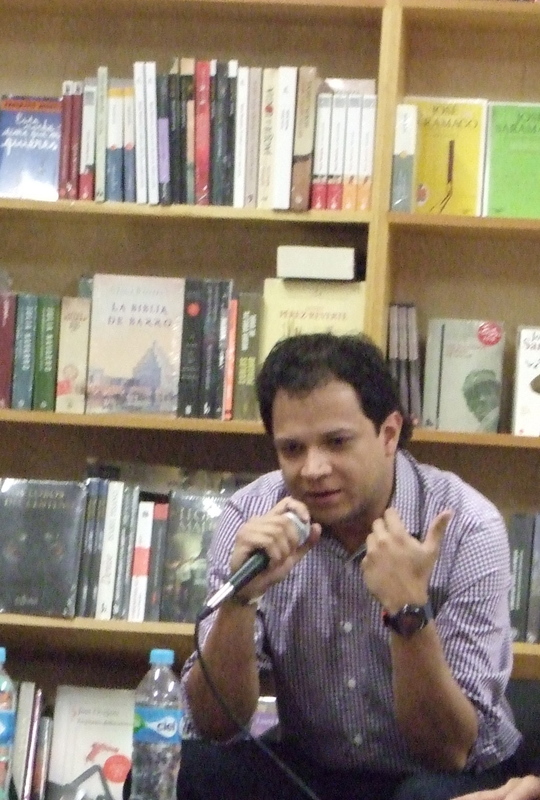 For more on Oaxaca’s literary scene, see Fernando Lobo on writing in Oaxaca.